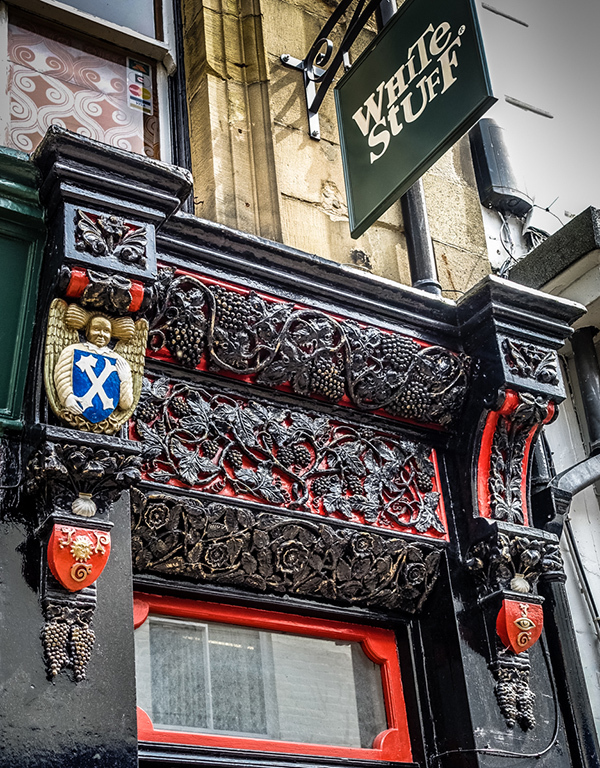 ​An exquisitely carved shop front dating from the early 20th Century. Currently occupied by White Stuff, this amazing ornate shop frontage was carved by a Belgian refugee in 1916. The original furnishings and contents of this former pharmacy are now in the Science Museum in London! This is just one of many interesting, and sometimes very old, heritage buildings dotted around the centre of Hexham.